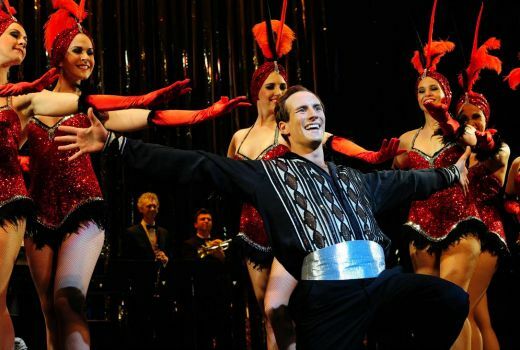 Seven drama Peter Allen: Not the Boy Next Door has dominated the fifth AACTA Awards* nominees with 10 nominations followed by Foxtel’s Deadline Gallipoli. Star Joel Jackson is nominated twice for best lead actor for both dramas, competing against himself. The ABC’s The Secret River also landed eight nominations. The ABC scored a massive 50 nominations overall, Foxtel got 16 nominations, SBS 13, Seven 12, Nine six and TEN one. Seth Larney Hipsters – Episode 1: What Is A Hipster? The AACTA Awards will be presented on December 9th with the Craft Awards on November 30. * as the Awards move from January to December there are actually 2 ceremonies staged in 2015. Why is “Randy” nominated and not the performer? Seems odd. I think you have Composers under Best Production Design. Thanks, now amended. The flow of info was a bit convoluted this year. Also interesting to see Peta Sargent up for House of Hancock. A controversial piece of casting and she emerged with the nomination. I thought she was the best thing in it. Wow, no Please Like Me. Did it miss the cut-off date? Looking at previous comments, you can understand why this really comes across as trolling. Your dislike of the show is noted. Again. I neither like nor dislike the show (I just don’t “get it”). It was an honest question. Please Like Me wins just about every comedy award in this country, and I was curious as to why it missed out on a nomination this year. Wow. The ABC dominated these awards once again. That’s great news. Also, well done to the SBS for receiving a fair few nominations. Beating commercial stations. Ouch to Ten’s one nomination. Randy the puppet gets nominated, and not the puppeteer? Who gets the award if it wins? It says a lot about our industry when cash-strapped SBS has more nominations than any of the commercial networks. Seven would’ve had only 2 if it wasn’t for Peter Allen. Bit odd that Randy and Nathan Lovejoy both got nods but not Sammy J.
only if your’e an unhappy housewife or desperate single female. Not much love for The Principal which is a shame…..
A glaring omission from best drama and can’t believe Alex Dimitriades wasn’t nominated for best actor. Once again, I get a much stronger sense of the healthy state of the local industry from the AACTA awards than the tired old Logies. Really great to see Pamela Rabe emerge as the sole nominee for Wentworth. It’s about time this incredible actress is recognised. A little surprised at the love for The Peter Allen mini series. AFI/AACTA normally go for less populus targeted content, but it’s among some solid competition. I am stoked with Pamela’s nomination. Very well deserved. If it we me, there would be a couple of changes made but in saying that all the noms deserve the recognition..